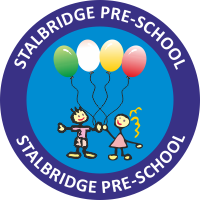 Stalbridge Pre-School is a well established Pre-School, offering high quality childcare for children approx 2yrs – 5yrs. We are a committee run, Ofsted registered Pre-School (EY419797). We moved into a purpose built building, set on the Stalbridge Primary School site in Spring 2012, which has further strengthened our links with the school whilst remaining independent. We offer a happy, safe and stimulating environment where children make good progress through the Early Years Foundation Stage, enjoying a wide variety of free play and planned activities both indoors and out. Our dedicated team of staff are all qualified to a NVQ level 3 or equivalent and regularly update training. Each member of staff is a key worker to a group of children giving individual support and encouragement as well as recording the progress and planning the next steps of learning for their key children.